Don’t let sensitive skin get in the way of the complexion you want. 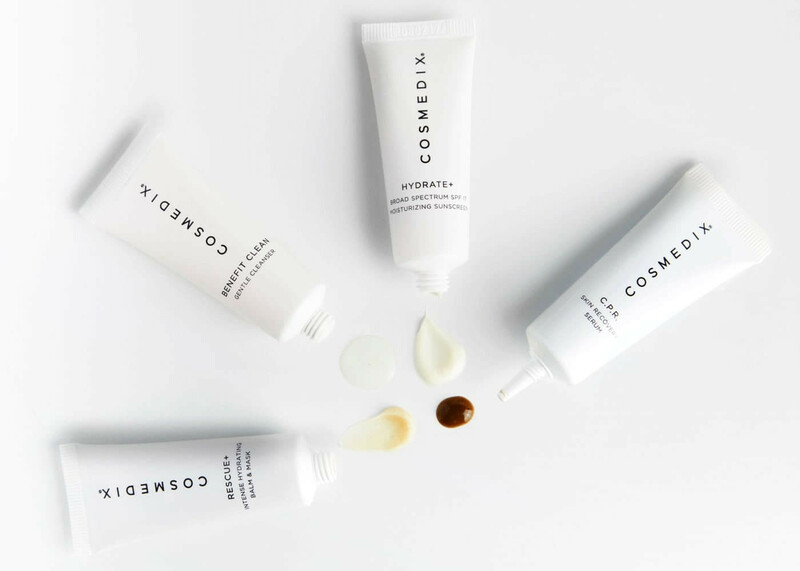 Reduce the appearance of redness with a soothing regimen that helps encourage skin recovery – while also protecting the skin from environmental stressors that can cause sensitivity. Benefit Clean | GENTLE CLEANSER Extra-gentle, sulfate-free, daily cleanser great for all skin types, including sensitive skin. C.P.R. | SKIN RECOVERY SERUM Miraculously kick-start recovery to revive dry, chapped, cracked and/or aging skin and reduce the look of redness. Rescue+ | INTENSE HYDRATING BALM & MASK Hydrating balm rapidly relieves extremely dry, cracked or chapped skin. After use skin feels comforted and dramatically soothed. Step 2: Apply C.P.R. to cleansed and toned skin. Step 3: Apply a small amount of Rescue + to the skin. Layer more over sensitive areas. Step 4: Follow with a thin layer of Rescue + in areas that are particularly irritated. Buy it, you won't regret it! My skin has truly transformed since using this product. My skin is smoother and more vibrant! It's less blotchy and discolored also! So good! I love this product so much! My skin was always dry, itchy and irritated. A few days after using Cosmedix sensitive my skin is a lot calmer. I highly recommend this product to anyone that seems to struggle with sensitive skin. Oh, and the hydrating mask is AMAZING! I mix it with the sunscreen during the day since my skin is so dry. Felt so much softer and not as red. It is an excellent product and has tamed my redness. This is a wonderful sample pack of amazing products. I love all of the products but especially C.P.R for daily use and Rescue + for moisturizing after treatments.